171 Hair and Beauty Salon in Islington, London, offers a wide range of high quality products and specialist beauty treatments including Brazilian Waxing, Hollywood Waxing, Eyelash Tinting, Eyelash Extensions and Eyebrow Shaping that are all designed to meet your individual needs and desires. 171 Hair and Beauty Salon in the heart of Islington, London, offers a wide range of Advanced Cosmetic Procedures (ACP) to help remove unsightly skin blemishes that may have affected your confidence and well being. Advanced Cosmetic Procedure (ACP) uses electrolysis and is becoming an increasingly popular skincare treatment that has immediate results so you can enjoy blemish free, smooth skin. So whether it's Milia, Facial Thread Veins, Blood Spots, Spider Naevus or Skin Tags, at 171 Hair & Beauty Salon, let one of our expert beauty therapists care for your skin using the highly effective Advanced Cosmetic Procedure Electrolysis Skincare treatment. We also offer a FREE consultation so you feel confident and in safe hands. A facial is a wonderful way to restore and revitalise a tired complexion leaving you refreshed, revitalised and relaxed. At 171 Hair and Beauty, we offer a wide range of facial treatments from the Gatineau Salon range include ‘Pick me up,’ Deep Cleansing, Regenerating, Filmomasque and Ultra Lifting. In addition the Gatineau ‘Back Cleanse’ exfoliates, cleanses and uses an extraction treatment to make your back feel smoother and softer. We also offer Dermalogica Facials. A skincare range that is dedicated to deliver skincare health and skincare results through our therapists' skincare education. Dermalogicia Facials does not treat skincare as a beauty issue but a skincare health issue and don't use any of the common irritants usually found in skincare ranges. 171 Hair and Beauty specialises in Lifting Facials that also effectively rejuvenate the facial muscles leaving you feeling renewed and revitalised. We also offer AHA Peels, removing fine lines and wrinkles to give the skin a smooth and even appearance. Whether it's a a Brazilian Wax or a Hollywood Wax, let one of our beauty therapists at 171 Hair and Beauty Salon help you to achieve the desired silky-smooth velvety feel with our expert salon waxing service. Feel confident when preparing for a holiday or a special occasion or simply maintaining an attractive, elegant appearance. All areas are sensitively treated to ensure a soft, sleek feel and sophisticated look. Using the highest quality products, our team at 171 hair and Beauty Salon are experts in Brazilian Waxing and Hollywood Waxing. At 171 Hair and Beauty Salon, our waxing services come highly recommended and we are well known in the beauty industry for providing the best waxing experience. Prices for bleaching and specialist waxing are available on request. Shellac Manicures treatments gives zero drying time with no nail damage and a resilient mirror finish so you can enjoy strong protected nails and flawless colour for 14 days. Vinylux Polish Manicure is a fabulous nail polish that is applied with a top coat and the good news is you can remove it yourself at home so there;s no need to come into the salon for specialist nail polish removal. OPI Nail Polishes is an an award winning nail polish brand including best nail care product. At 171 Hair and Beauty Salon we aim to give our clients a good value manicure and pedicure with the latest technology and the best selection of nail polish colours. Eyelash and Eyebrow tinting completes the all round colouring effect giving you the look of total sophistication. 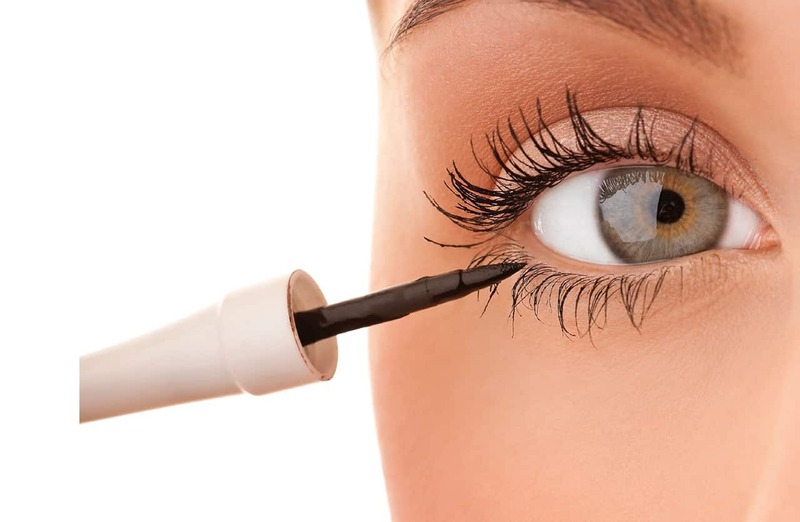 At 171 Hair and Beauty Salon, our expert eyelash and eyebrow tinting treatments and beauty specialists can match the exact shade and tone of your eyelashes and eyebrows leaving you feeling confident that the overall effect of any colour change is blended to achieve balance and harmony. We also offer an expert Eyebrow reshaping treatment to enhance and refine the eyebrow line. Additional treatments include Eyelash Perming, Eyelash Perming with Eyelash Tint and False Eyelash Extensions (plus extension refill).